‘Tis the season……..of apple pie treats, pine needle scents, glass ornaments twinkling on the tree….and of trees crashing to the ground in your living room while kitty scales the branches! If you live with cats, hang heirloom glass ornaments up high, away from kitty paws, and anchor your tree with guy wires. Avoid gift ribbons, tinsel, and metallic garland. Cats like to eat them, but they may not exit your cat without the help of your veterinarian! Wrap electrical cords with plastic tubing to preventing high voltage snacking. 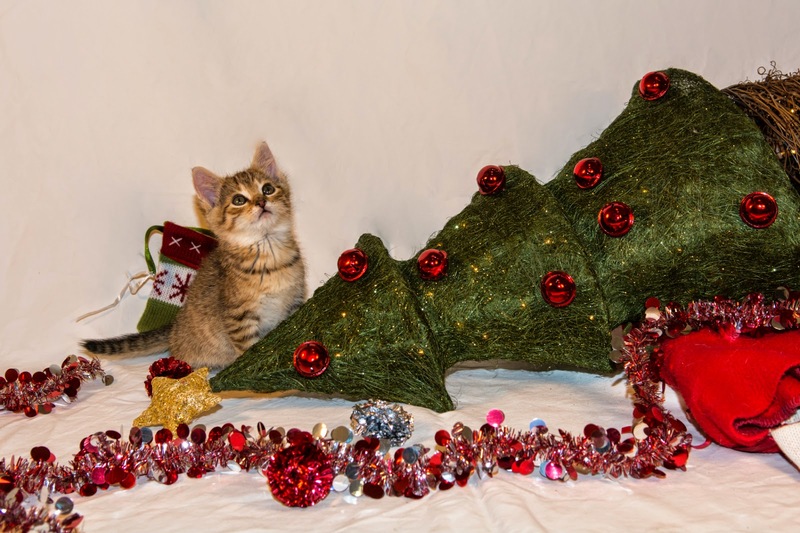 And finally, forgo the chemicals that keep your tree fresh longer if there’s any chance your cat could drink it. Many of these chemicals are toxic to cats!